CNC machining, water cuttingm, seals - Sema Group Sp. z o.o. We offer high pressure water cutting services that enable quick and accurate material processing. Polonit Gasket Sheets made by SEMA Group sp. z o.o. Our Wool Felt is used in many industries as gaskets, washers, etc. The compensators offered by our company enable proper operation of various installations and are characterized by excellent parameters. We offer hydraulic and pneumatic seals on-site using state-of-the-art technology. SEMA Group Sp. z o.o. is a young and thriving company, which was created on the foundations of SEMA, a pioneer in the field of technical seals and thermal insulation in Poland. In our favour speaks a wealth of experience, a team of highly qualified staff, integrity, professionalism at the highest level, high quality of service and products, individual approach to every customer and comprehensive customer service. Our advantage over competition is that we constantly invest in modernization and improvement of production processes (technologies and machinery). We continually increase the range of our services. We also carry out regular material checks and customer satisfaction. The foundation of our business is services such as water cutting and CNC machining. We offer not only products, but service, modernization and testing of existing industrial installations as well. 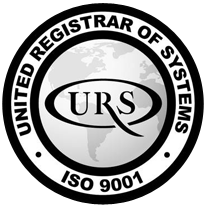 We are very pleased to announce that we have obtained the Certificate of Quality Management System ISO: 9001. Having ISO: 9001 Certificate confirms that SEMA Group Sp. z o.o. carries the highest quality policy in the field of fabric compensators and hydraulic seals, guaranteeing delivery of products that meet our customers’ expectations. Implementation of the system has been ongoing since the Company was established in 2011. In 2016, after a positive audit, we obtained an extension of the validity of the certificate. The current Certificate is valid until September 14, 2018. We have a wide selection of excellent quality construction materials of various applications. We are at the moment the only manufacturer of Polonit Gasket Sheets. Technical wool felt, which is one of the oldest textile products. It is used in various industries. CNC cut gaskets are made “on site” according to customer guidelines. We offer high pressure water cutting services that enable quick and accurate processing of plastics, steel, marble and many other materials. SEMA Group Sp. z o.o. works with companies from all over the world in both import and export. We supply companies operating in such industries as: energy and heating, refineries and petrochemicals, chemistry, metallurgy, mines, shipbuilding and mining.